The Ministry of Human Resource Development or MHRD of Government of India’s direction to constitute a working group to study the Delhi University Act to bring it under the ESMA act is witnessing resistance from the teachers of Delhi University. The higher education regulator University Grants Commission or UGC has, through an order dated 12th September, 2018, directed to constitute a working group to study the Delhi University Act with ‘the perspective of relevance and uniformity in today’s context including bringing Exam/Teaching/ Learning/Evaluation under Act of the Essential Services Maintenance Act (ESMA)’. 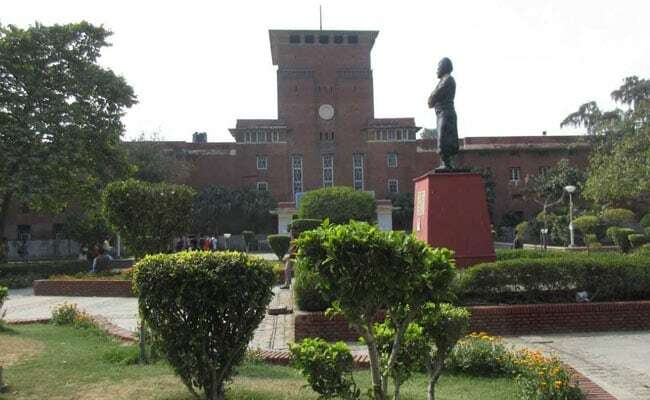 According to Delhi University Teachers Association (DUTA), the said circular is exploring the ‘possible alterations that may dissolve the University’s institutional autonomy and suspend the democratic rights of its academic community’. Delhi University Teachers Association (DUTA): UGC’s ESMA circular is exploring the ‘possible alterations that may dissolve the University’s institutional autonomy and suspend the democratic rights of its academic community’. DUTA also said this circular comes immediately after the UGC’s directive to all central universities to adopt CCS or Central Civil Services rules for teachers – referring to a circular from UGC in May 2018, which asked the universities to follow ‘Government of India rules/orders as applicable to Central Govt Civilian employees’ for service matters. A circular from UGC in May 2018 asked the universities to follow ‘Government of India rules/orders as applicable to Central Govt Civilian employees’ for service matters. “The DUTA condemns this vicious attack on the academic community’s intellectual autonomy and the violation of its moral prerogative to nurture free thinking and democratic values,” the teachers organisation said. They also accused the Government of resorting ‘to tactics that will silence the DUTA and compel teachers to mutely submit to its authoritarian measures’. ‘To try and bring university teachers under ESMA is a draconian and foolish move as teachers are not mere service providers. Teachers are creators and disseminators of knowledge and informed opinion. The Government’s move to curb the democratic rights of teachers through ESMA and CCS indicates desperation and nervousness about introducing changes that cannot stand up to academic scrutiny,” the statement said. On October 7, 2018, a day after the JNU academic council discussed about placing teachers under the CCS Rules, the Jawaharlal Nehru University Teachers’ Association (JNUTA) also said the “very role that academics are supposed to play in the classroom and in civil society has become criminalised”. The Association alleged the current administration has decided to impose Conduct of Central Services Rules on JNU teachers, which restricts them from expressing dissent. The JNUTA then said the rules apply to government servants and prohibit them from being “a member of, or be otherwise associated with, any political party or any organisation which takes part in politics”.